Veils and Headpieces from Berger by Mon Cheri. Receive 10% Off any Trunk Show Item, Bella Donna Brides receive 15% Off! October is Breast Cancer Awareness Month! Le Bella Donna will be hosting an event in store, and donating a portion of proceeds to the cause on Saturday October 3rd. Established in 1922, Edward Berger has been creating exquisite quality bridal headpieces and veils for over 80 years. Schedule an appointment to take part in our plus-size Allure trunk show! Schedule an appointment to get an exclusive look at the newest collection from Martina Liana, only available to a select number of stores! Schedule an appointment to take part in our Allure trunk show! Schedule an appointment to take part in our Stella York trunk show this March! Schedule an appointment to take part in our Essense of Australia trunk show for the newest collection this March! Schedule an appointment to take part in our Martina Liana trunk show for the newest collection this spring. Come see the newest accessories from Edward Berger! Come see the newest separates collection from Martina Liana! Book an appointment today! Come be the first to see the new special, exclusive test collection from Martina Liana! Schedule an appointment through our website, or call (215)690-4018. Schedule an appointment now to see the latest collection from Essense of Australia, in sizes for every bride! Come see our newest location, with a great selection of off the rack favorites! Come join us and Bouche Productions for a bridal show at the Crowne Plaza in Valley Forge! Schedule an appointment today to see the newest collection of gowns from Pronovias! Come join as at the beautiful Cairnwood Estate to meet a plethora of vendors for planning your dream wedding day! Come see the newest Justin Alexander collection with us! Schedule an appointment now to see the latest collection from Stella York! Come join us in raising awareness for the fight against breast cancer! Today, a portion of all proceeds will be donated to breast cancer research. 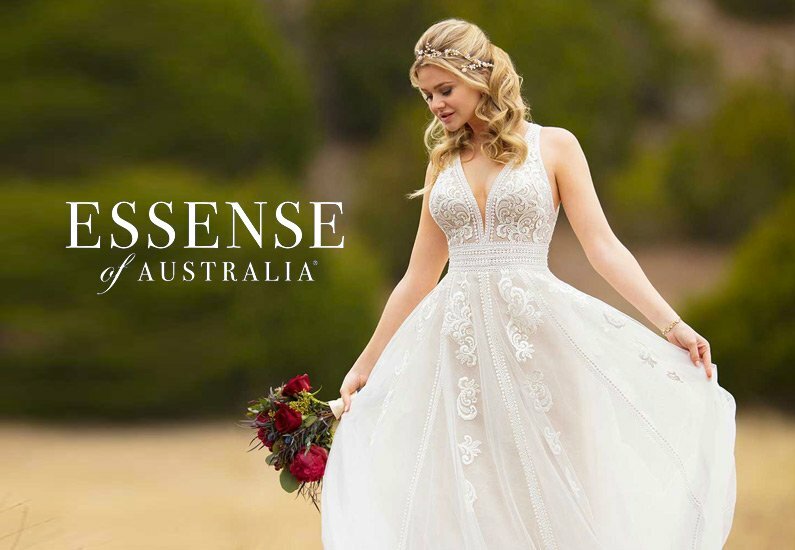 Schedule an appointment now to see the latest collection from Essense of Australia! Come join us for a special look at never before seen Essense of Australia dresses. This special tester collection involves dresses that have not been released yet, and are the place to get a truly one of a kind gown for your special day! Call us to schedule an appointment for this special opportunity today! Schedule an appointment now to see the latest collection from Martina Liana! Come visit us in our new Bensalem location for a special two-week trunk show of the newest Mori Lee gowns! Come start the holiday season with us and a White Friday sale! Details and discounts to be announced soon! Come to our Jenkintown location to see the newest designs from the Allure Bridals collection! Come get an exclusive look at a new, never-before seen tester collection of gowns from Essense of Australia at our Jenkintown location! Schedule an appointment to take part in our Mother of the Bride/Groom trunk show this December at our Jenkintown location! Schedule an appointment to take part in our Justin Alexander trunk show this February at our Jenkintown location!